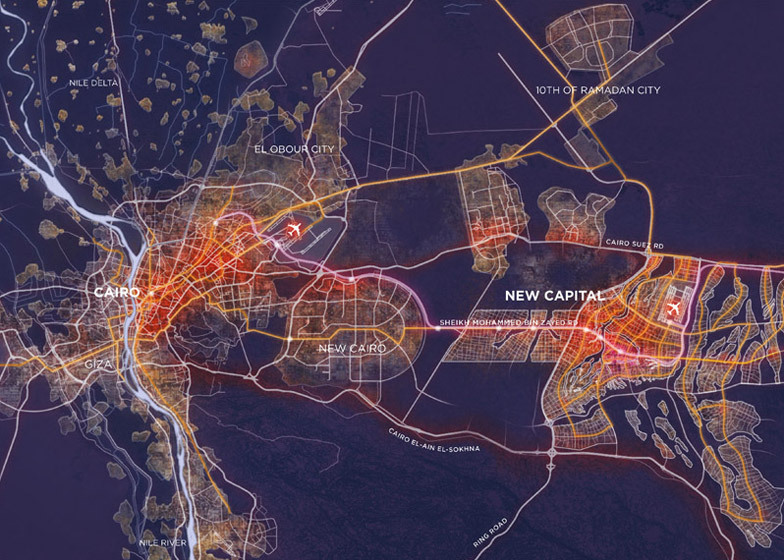 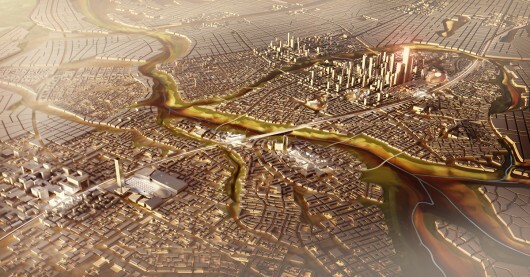 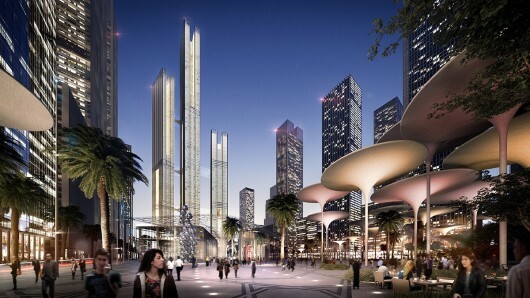 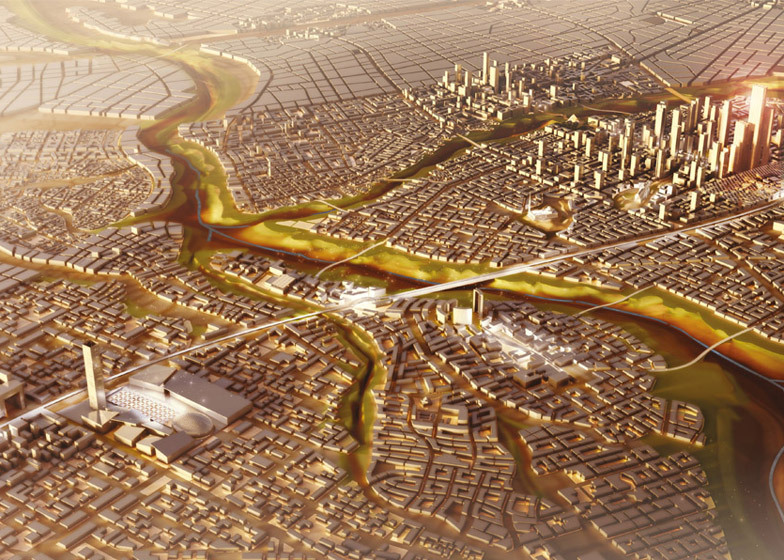 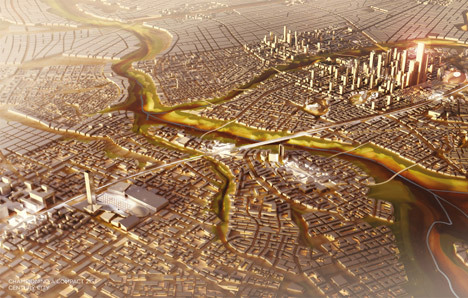 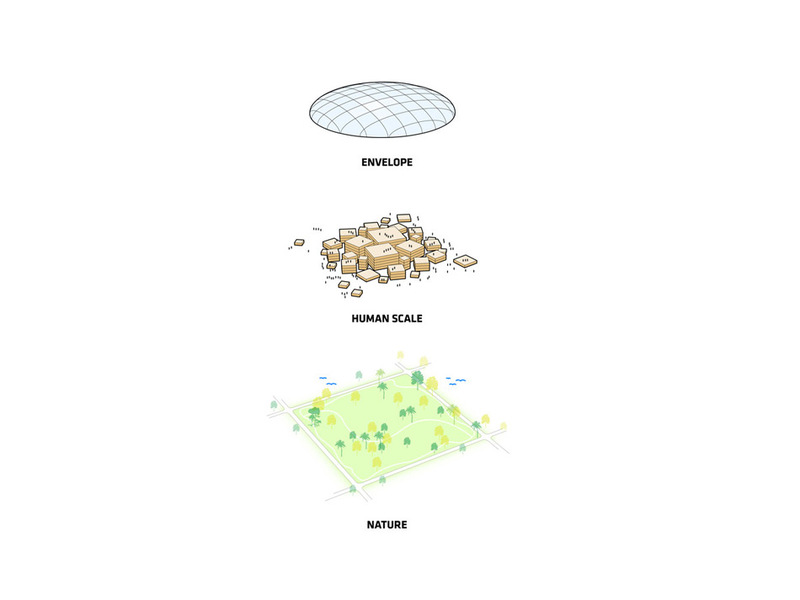 AEInterest: Design of cities, masterplan, Cairo population projected to double by several million in next 35 years, passive cooling strategies, housing. 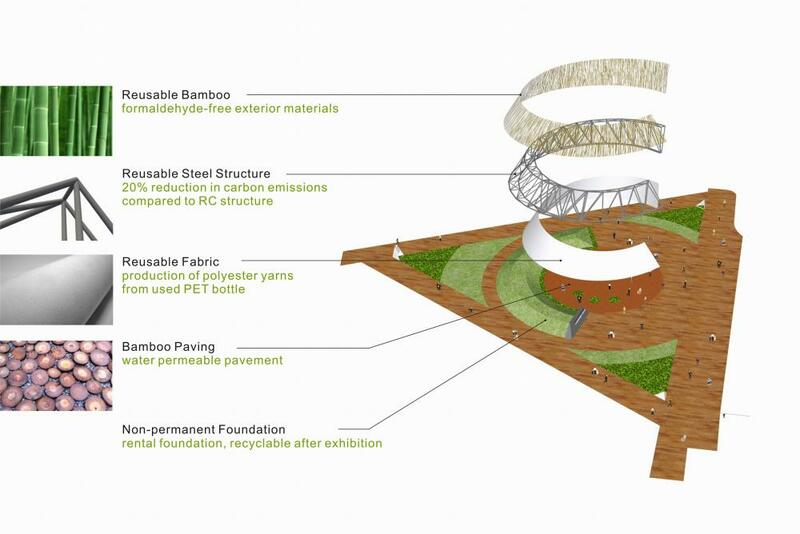 AE Interest: Recyclable steel structure, Bamboo facade, permeable bamboo flooring, recycled PET plastic screen. 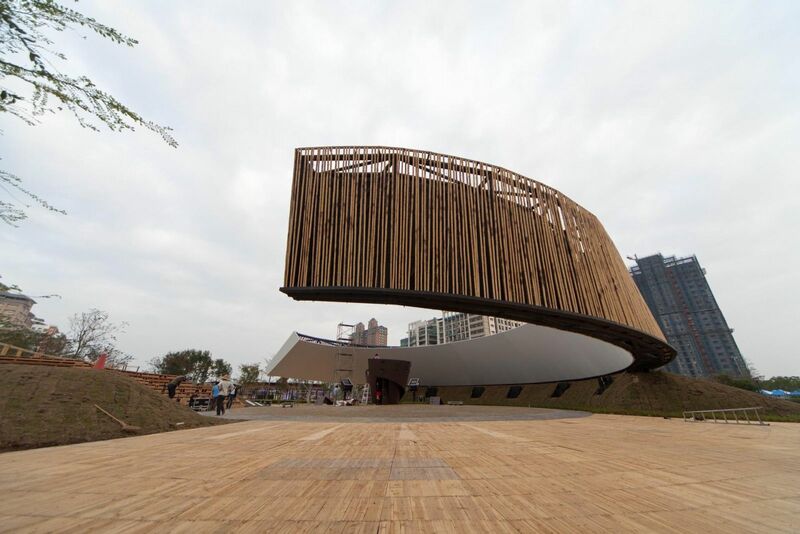 Structure was recycled. 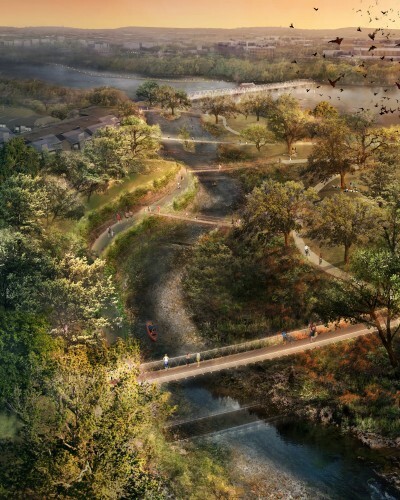 Waller Creek Redesign – Austin, TX, U.S.
AE Interest: Chain of parks connected by 6 trail bridges, Bridge pier that treats storm water, island park, floating pontoon bridge, concrete tunnel vane doubles as support for lawn that floats out unto the water. 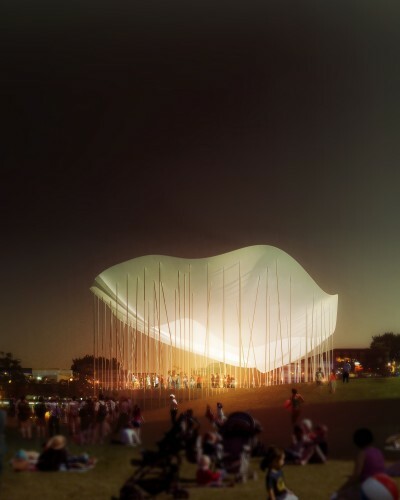 The poppy- lightweight pavilion. 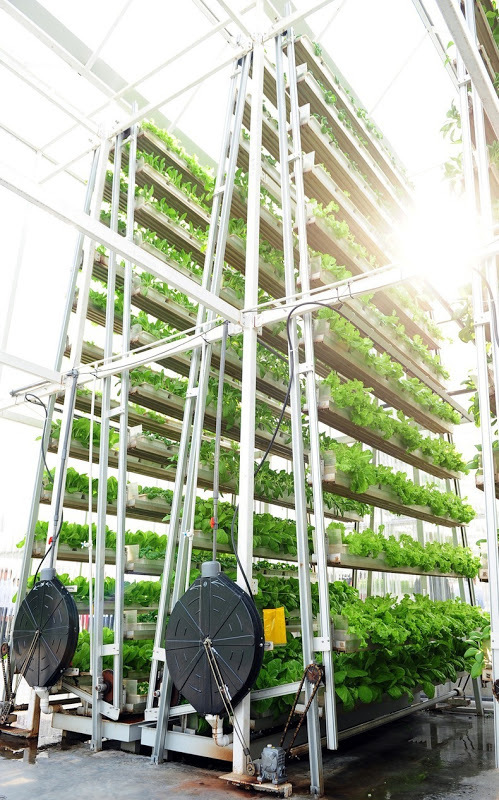 AE Interest: 120 individual aluminum A-frame towers that rotate vegetables via a hydraulic water pulley system. 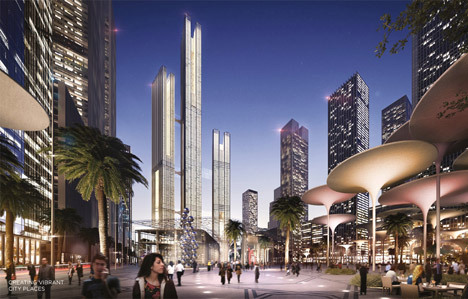 Each tower is 20 square feet, and 30 ft tall. 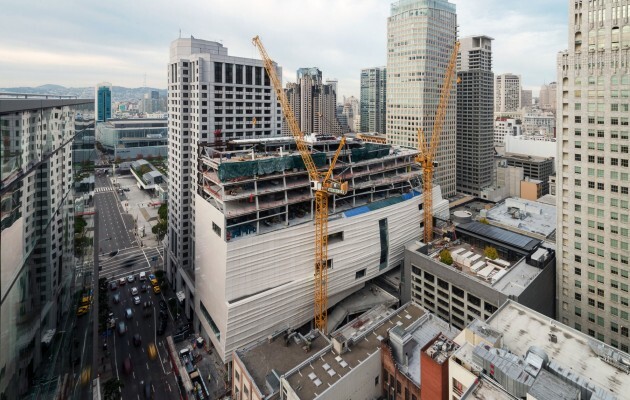 San Francisco Museum of Modern Art – San Francisco, California, U.S.
AE Interests: Facade constructed out of 700 individual glass-fiber-reinforced polymer panels. 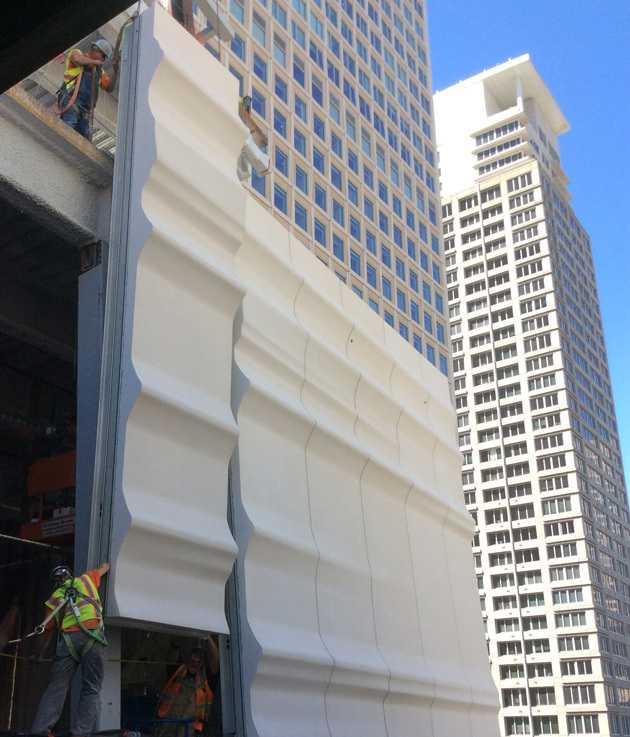 Sand-gel mixture coats each panel for anti-flammability & shimmer exterior. 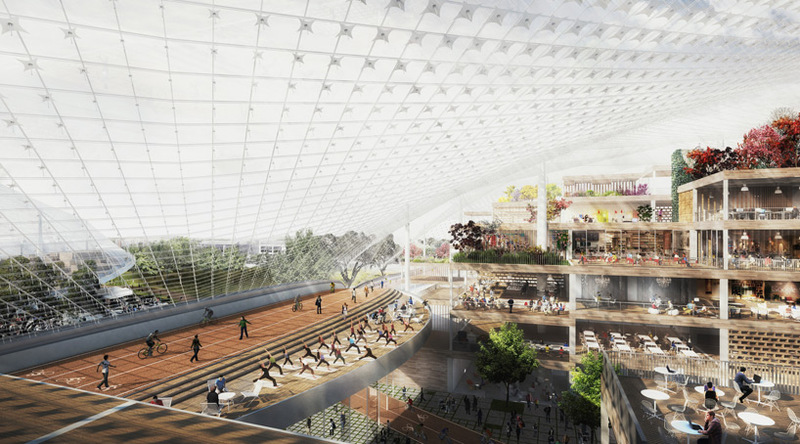 Google Headquarters – Mountain View, California, U.S. 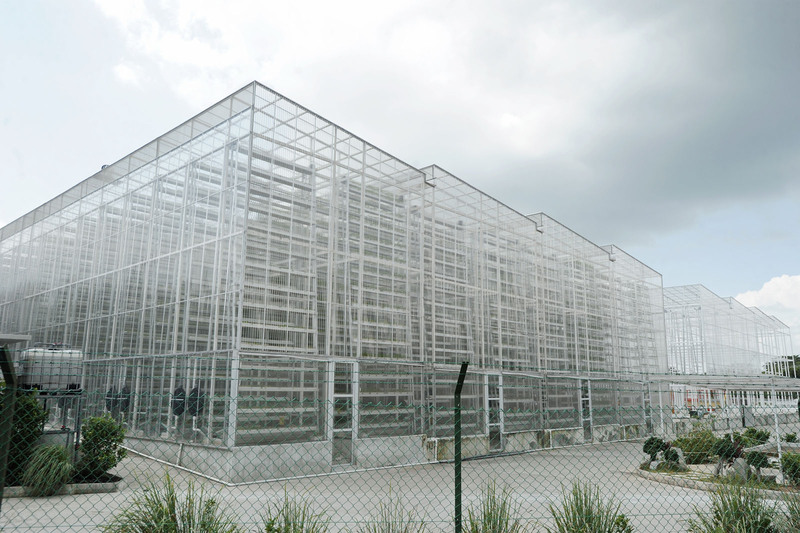 Location: Mountain View, California, U.S.
Lightweight multi-story movable block structures. 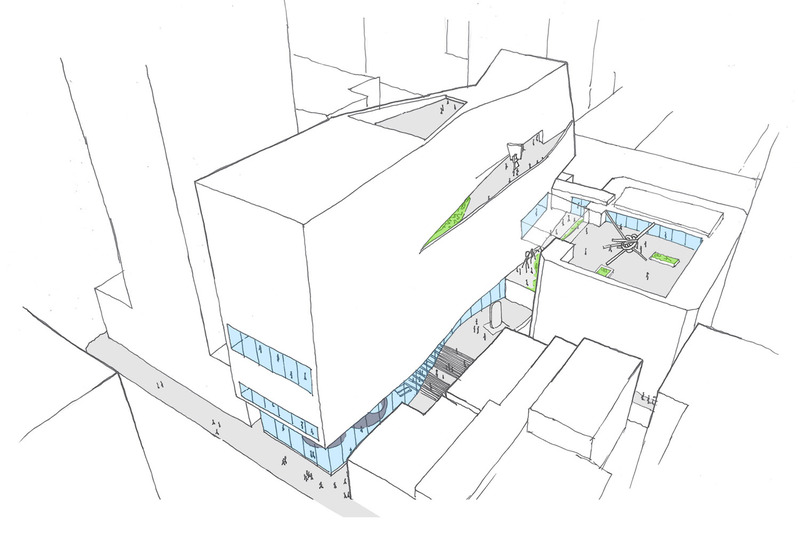 Large translucent canopies over block structures; let in air and daylight.